Please, don’t keep all this learning to yourself. There is often as much learning through discussion at a social gathering as there is in formal lectures. I had many interesting conversations with our Indian students from the MA in Special and Inclusive Education course that we run in Bangalore at various social events over the weekend. Whilst most of these were light hearted in tone, one colleague was particularly keen to discuss an issue that seems to trouble teachers in many parts of the world. The implementation of the Right to Free and Compulsory Education Act in India, she suggested has added much to the stresses upon specialist teachers. “Everybody looks to us to tell them what to do”, she said. “They see that we are the experts and therefore it is our responsibility to deal with all the problems. They do not see this as a shared concern”. This, I tried to reassure her, is not a situation unique to India. In my experience mainstream classroom teachers everywhere I go express anxieties about children described as having special educational needs, and sometimes feel helpless in their efforts to find effective ways of enabling them to learn. Where legislation is put in place, there is a need for those with the skills, knowledge and understanding to take a lead in ensuring that the requirements are addressed. At such times it seems only natural to me that colleagues who are uncertain about meeting new challenges will seek the support of those who have shown a commitment and possibly developed additional expertise in supporting children who have difficulties with learning. I have expressed concerns about the notion of “expertism” on several previous occasions, but feel that there is an aspect of this situation that is an indication of our status as professionals. Quite rightly we should expect all teachers to accept responsibility for all children in their classes. It is unacceptable that there are teachers who are prepared to abdicate this responsibility and hand over children to be dealt with by an “expert”. However, it seems equally wrong that those who have made a commitment to obtain additional professional development and qualifications in the field of special and inclusive education, adopt a critical or even negative stance towards those who have not done so. Having sought to acquire expertise, knowledge and skills in relation to teaching children who have traditionally been marginalised, and in some cases excluded from education, surely we have a responsibility to accept a leadership role in supporting those teachers and others who lack confidence in this area. I remember when I was training to be a teacher, one of my tutors, Ken Jones, who subsequently became a good friend, told us that every teacher on entering the profession must accept that they have a critical leadership role to play. He went further in saying that this role should extend beyond the classroom, to the communities in which we lived and worked. This concept sits readily with the idea of teaching as a vocation and of a commitment of service to others. However, it is not always easily achieved. So here perhaps we have a conundrum. Whilst we want all teachers to accept their responsibility towards all children, we need to accept that many will look to those who have specific expertise to provide guidance and leadership. So perhaps the message I should be giving to my colleague who is a student on the MA programme, is that she will have to appreciate that others will look to her to give a lead, but that in doing so she will need to share her expertise, until gradually her fellow teachers gain in confidence and take on more responsibility for themselves. This will only happen when the expertise that we have is shared and we do not feel precious about keeping it to ourselves. If every teacher is to become an expert then some must assume the role of mentor in order to ensure that this can be achieved. 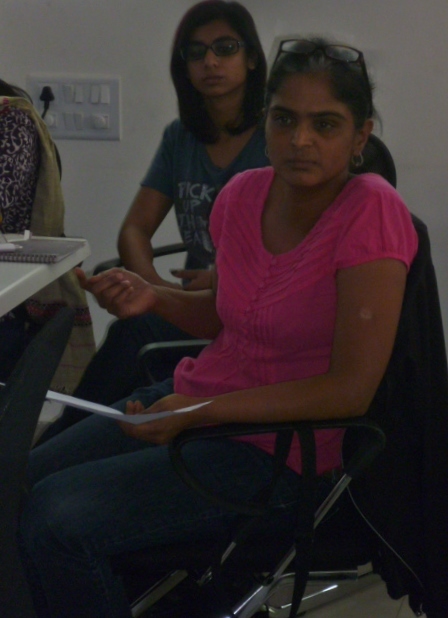 “I have worked hard to gain this new learning,” said our student. “If others want to develop such expertise they should join the course”. Part of me sympathises with this argument, and yes, we would love to see more teachers signing up for the programme, but the responsibility to support those who either cannot, or will not attend such courses must lie with those who have been afforded the opportunity. 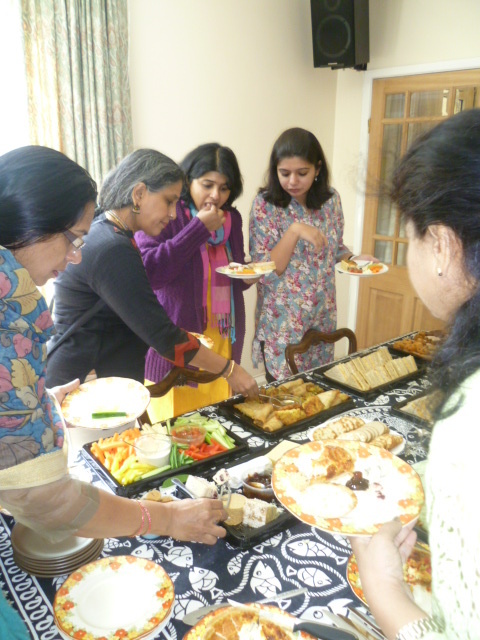 Our current visitors from India have certainly developed a broad range of knowledge and understanding. and are skilled in applying this in their own classrooms. The greatest challenge ahead is in ensuring that this expertise is shared widely for the benefit of greater numbers of teachers and children. I can always depend upon Savitha Ravi to post thoughtful responses on this blog. A few days ago I wrote a piece with the title Sharing the expertise (February 20th) in which I suggested that we need all teachers to establish skills, knowledge and understanding in order that they may feel confident in working in classrooms with a diverse range of needs. At present I argued, schools tend to be too dependent upon special educators who are quite rightly recognised for their expertise but can have only a limited impact in the way that schools are organised. “I’ve spoken to heads of training institutes to include such modules, may be if we can make this happen, it will definitely help more teachers feel confident and equipped to work with any child”. I believe that Savitha is quite right in identifying training as a key factor in promoting teacher confidence and thereby supporting the development of inclusion. However, I suggest that we need to think carefully about what form such training may take. There appears to be two current approaches to providing teachers with the skills and knowledge that will enable them to be effective in addressing a range of learning needs. The first aims to supply teachers with detailed knowledge of specific diagnosed needs such as dyslexia, autism spectrum disorders (ASD) or attention deficit hyperactivity disorder (ADHD). The premise being that an understanding of the causes of the learning difficulties associated with children with these labels will make it easier to equip teachers with the means to plan to meet their needs. A second approach, and one that is certainly in vogue in the UK is to encourage teachers to develop skills of planning and differentiation in teaching and assessment in order that all learners can be accommodate in classrooms. The theory being that effective teaching can address the needs of all pupils. Are these two approaches exclusive or can they both make a contribution to the way in which we promote inclusive education? 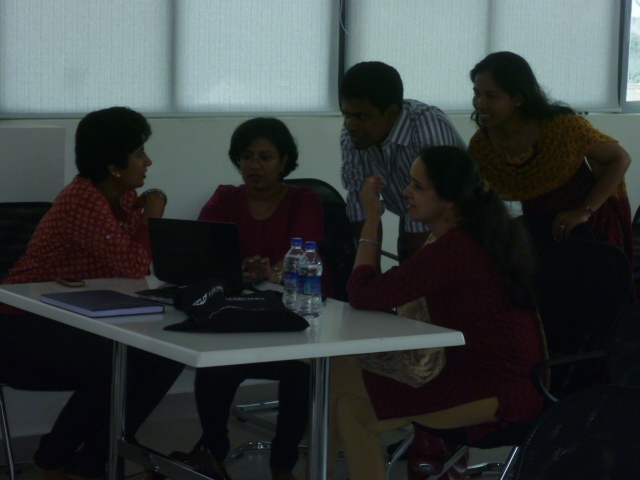 My personal experience of teaching students on post-graduate courses in the UK and those undertaking the MA in Special and Inclusive Education programme in Bangalore* leads me to make a few observations. Many of the teachers who attend these master’s degree courses are those who have already established a commitment to working with children who experience difficulties with learning. Some join the course with several years of experience and considerable expertise in addressing the needs of individuals with specific diagnoses. Others have become frustrated by the challenges they face day to day in their teaching and are seeking the means to gain confidence and competence in addressing these difficulties. On the MA programmes in which I am involved we tend to focus upon the principles of inclusive teaching, effective planning for diverse learning needs, differentiated instruction and the development of inclusive learning partnerships with families and other agencies. Teachers on the course respond well to this approach, but I wonder if to some extent they do so because of their previous study of specific “conditions”? It would be ridiculous to deny that some of the expertise that these teachers have acquired does not support their commitment to working in inclusive learning environments. For example, I work with students who have undergone extensive training in teaching children on the autism spectrum and are well versed in the use of visual structure and the development of personalised learning environments. Similarly students who have completed courses on the use of multi-sensory teaching approaches with children labelled as dyslexic have acquired an understanding and commitment that has proven advantages in their teaching. We know that many of the innovations that have emerged from special education, such as the use of augmentative systems of communication or the development and implementation of alternative modes of accreditation, can be used effectively in inclusive classrooms. So does this have an implication for the ways in which we train teachers? I think it probably does. I also believe that the way we approach this training is important. Teachers need to be provided with the principles of developing inclusive classrooms and to have an understanding of how we plan to address the needs of whole classes of diverse learners. This surely will provide the foundations of good inclusive teaching. But I have learned from my students that at this point it may well be appropriate to examine some of those specific pedagogical approaches that have been developed for pupils with special educational needs, and to see how they may be utilised in inclusive classrooms. However, it is most important at this point to recommend that those approaches traditionally used with pupils with a specific diagnosis such as dyslexia, may also be applicable to other learners. I am not convinced that there is a particular approach for children with dyslexia or autism spectrum disorders that is only to be used with those who have such a diagnosis. But I am sure that the detailed attention that those teachers who have shown a commitment to these pupils has assisted in the development of effective teaching. Savitha has given me food for thought (thank you Savitha). The secret now is to ensure that this leads to a balanced teaching diet. I have a feeling that there remains much to be debated on this issue. I am far from reaching a conclusion on these matters. It is likely that I will return to this topic very soon, but I still need help in clarifying my thoughts. What do you think? A couple of readers of this blog recently contacted me through the University of Northampton to ask about the MA programme in Bangalore. We are now recruiting for a cohort to start in September 2014. Details can be obtained by contacting Jayashree Rajanahally jayamar@gmail.com If you do join I look forward to debating these issues with you face to face. A few days ago I referred to a posting by Kanwal Singh who had responded to my article “Empathy not blame – a critical component of change”. Kanwal had suggested that in working with teachers to promote inclusion we needed to approach this task “not as ‘experts’ but as ‘partners’”. This is certainly a notion to which I relate but also one that I feel deserves a little more consideration. Whenever we experience difficulties and need to seek help we look to someone who we feel has the expertise to assist us. If my car breaks down I seek out a qualified mechanic who I hope will understand how to fix the problem. I do so in the knowledge that the mechanic has far greater expertise than myself. It is therefore understandable that teachers who may be experiencing difficulties in addressing the needs of a child will look for a special education “expert” to provide assistance. Over the years a good number of teachers have devoted their time to gaining professional expertise and knowledge aimed at supporting pupils who present teachers with a range of difficulties. I myself was just one such teacher and for many years worked as a “special educator” teaching children who were seen by others as problematic, and also trying to pass my knowledge on to others. For a number of years now I have taught on university accredited courses which have aimed to provide teachers and other professionals with the understanding and knowledge to themselves fulfil the role of special educators and to support their colleagues in school. I believe that this work has been worthwhile and hopefully beneficial to many teachers and the pupils with whom they work. But I also have some apprehensions about this way of working and will highlight just two of these here. Firstly, if we continue to invest all of the expertise in a few teachers who then become special education experts are we enabling other teachers to abdicate their responsibilities for those children in their classes who have difficulties with learning? I am not suggesting for a moment that these teachers are in any way deliberately negligent. I know for a fact that most are committed professionals who work incredibly hard to provide learning opportunities to their pupils. However, there is a risk that by perpetuating a model of special education expertise, these teachers may not themselves feel the necessary incentive to further their own knowledge, skills and understanding and become more effective in addressing diversity in the classroom. In these circumstances ownership of the difficulties and responsibility for their management remains with the expert and other teachers do not themselves gain the necessary expertise to become more effective. My second concern is for the special educators themselves. Is there a danger, I wonder that these dedicated professionals may be seen as being in possession of unique knowledge that is beyond the remit of other teachers? Might it be the case that others will view them as having an expertise that is unattainable for the majority of teachers? If this is the case is there a risk that when the special educator is unable to “solve the problems” of a child that they will lose credibility and the pupils needs will go unmet? If this happens it is both the special educator who has difficulties in loss of credibility and the pupil whose “problems” are seen as insoluble. After all, if the expert can’t address the issues, what hope is there for the class teacher? My concerns here centre around the mystique that can, if we are not careful, surround the skills, knowledge and understanding associated with the special educational needs expert. This is a difficult issue and one that needs careful management if we are to avoid either losing expertise or perpetuating the model of teacher dependency that we may have created. I am certainly not suggesting that we do not need teachers who have exceptional skills and understanding in relation to pupils described as having special educational needs. I have seen the benefits that both teachers and pupils have gained through working with such expert professionals. Subject expertise has always been an essential feature of our schools. Indeed we know the advantages that specialist maths teachers or modern languages teachers bring to a school and would not wish to deny the application of any expertise for the improvement of our education systems. I know of teachers who have studied hard and developed significant expertise in planning for the needs of specific groups of learners who have been labelled as having social emotional and behavioural difficulties, or autism spectrum disorders for instance, and I am sure that children, teachers and families have appreciated the knowledge that they have been able to share. The point that Kanwal made and to which I referred at the outset of this piece is important. We need to establish effective partnerships whereby expertise can be shared and nurtured for the benefits of all children and all teachers. Special educators can certainly take a lead in these partnerships but a realignment of their purpose may well be required. Can we not develop the kind of partnership that is focused upon increasing the general level of expertise in all teachers, whilst accepting that some will become leaders in their area and that this may well be in the field of special education? Primary schools in England have subject co-ordinators whereby a teacher will take the lead for mathematics or science or English for example. My wife happens to be the co-ordinator for art in her school. 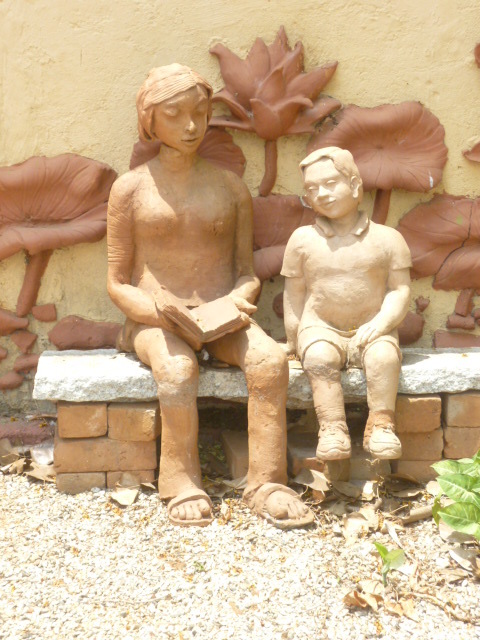 However, everyone in the school teaches art, mathematics, English and science. It would, quite rightly, be seen as unacceptable if my wife stated that she as the art co-ordinator did not need any expertise in teaching English or mathematics. She certainly needs to have a level of competence and confidence that enables her to teach these subjects appropriately at a level suitable to her class. This model does not yet exist in terms of the role of the special educational needs co-ordinator, who often is seen as a trouble shooter responsible for sorting out the needs of their colleagues. Kanwal is right. We need to develop a model whereby every teacher has a level of competence and confidence in teaching children with diverse needs in their classrooms. The expertise of the special educator may well be most effectively deployed in leading such school partnerships to enable this to happen. When I began writing this blog I wondered if anyone would bother reading, let alone respond. One of the strange things about writing anything for publication is that you have little idea about who is reading your work or what they think. It is therefore heartening to find that some people have returned to these pages several times and it is even more rewarding to find individuals posting comments and giving me the opportunity to learn from them. Yesterday I wrote a piece under the title “The Labels of Expertism” – yes, I know, I’ve already apologised for that ghastly word! In this brief discourse I suggested that in some ways the assignment of a label that implied a teacher was an expert in special education or the promotion of inclusion, could actually establish a barrier to achieving the very progress that we have hoped to see in the furtherance of inclusive schools. This was not to imply that such specialists don’t have an important role to play, neither was it intended to challenge the expertise of individuals who bear certain titles, such as special educator or resource teacher. My concerns were more about the possibility that other teachers, perhaps feeling less secure in their knowledge of how to address the needs of children who may challenge their approaches to teaching, may end up either off-loading these children onto the specialist, or in some cases resenting their presence in their classes. Two colleagues posted thoughtful replies both of which indicated the importance of debating this issue. Both caused me to think further about the ways in which we attempt to support teachers and why we so often fail to achieve the results for which we had hoped. Let me introduce you briefly to these two perceptive respondents. 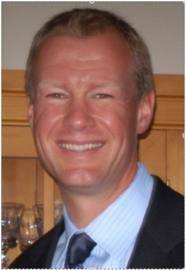 Tim Loreman is Dean of Research at Concordia, University College of Alberta, Canada. I have known Tim’s work in the field of inclusion for many years. His book Inclusive Education: Supporting Diversity in the Classroom, written with Joanne Deppeler and David Harvey is one to which I often refer students who are looking for a source of practical advice on developing inclusive approaches to teaching and learning. A second book Love as Pedagogy provides readers with an understanding of the empathetic philosophy that underpins Tim’s important contributions to education. Shuba Thomas is an Indian student on the MA in Special and Inclusive Education Programme on which I teach in Bangalore. She is an experienced teacher, with a passion for mathematics and a profound commitment to children who have been left on the margins of classrooms as a result of finding difficulties with learning. Both of these individuals have contributed significantly to my learning and continue to shape the ways in which I look at education. In his reply to yesterday’s entry on this blog, Tim wrote “Where challenges for the inclusive classroom arise our specialists can help us to pinpoint the issues and then solve them through collegial dialogue. But only when they explore the context with us first. This might seem a bit of a naive view, but I don’t see why we can’t set our egos aside and just be educators”. The term collegial dialogue is one that particularly appeals to me as an important condition that we must strive to achieve if we are to be supportive of teachers who may be less enthusiastic about inclusion than we are. Shuba’s equally perceptive view that “Empowering teachers with necessary skills to work with SEN kids and involving the Special educator in various aspects of the general classroom whether it is lesson planning, assessment etc will help reduce the notion of “expertism” and reduce further marginalisation of children with special needs” presents a similar argument to that expressed by Tim. Both of these valued colleagues highlight the necessity for the specialist to depart from their current domains and to enter the classroom alongside teachers in order to support a process of change. Tim’s suggestion that the specialist needs to explore the context is critical here. Whilst the specialist teacher may have knowledge and understanding about special educational needs that is not common to many teachers, this is of little value unless they understand the context in which the general teacher works and can provide support that is empathetic and practicable in the classroom situation. As Shuba states, the actions we take must be seen to be empowering and enable teachers to gain confidence in their craft. For this to happen we must indeed set aside our egos in order to be seen as team players alongside others rather than experts who remain aloof. The need to continually review the way in which we approach teachers is paramount. If we set ourselves on a pedestal as the possessors of unique understanding or as guardians of knowledge then we will surely alienate the very individuals who can make a difference for the inclusion of all learners. We must show some humility here and begin by recognising that the vast majority of teachers have levels of expertise and commitment upon which we can build and share in the development of a blueprint for inclusion. The significant points made by Tim and Shuba about the relationship between the “expert” and those upon whom they would wish to impart their expertise need to be explored further by all of us who claim to be supporting the route towards justice in education and more inclusive schools. I am grateful to both of them for adding to my learning opportunities and hopefully enabling others to think about these matters. 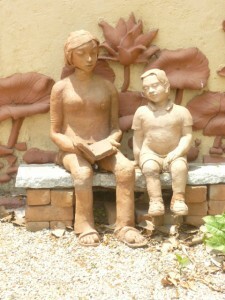 Terracotta sculpture at the Valley School near Bangalore. A shared expertise here perhaps? Let me begin with an apology for using the ugly, and probably made up word “expertism”. Some newly created words seem to me to be ok, though I’m not convinced by this one. Now that I am back in England my thoughts quickly return to educational issues here. This is in part a result of the many interactions I have with students and teachers and also influenced by my reading of various academic papers and attention to the media. Inevitably, so soon after a visit to India I find myself making comparisons with what I have seen there and my experiences at home, and yesterday, following a conversation with one of my PhD students I was considering the way in which we use titles that indicate some form of expertise and the impact this might have in schools. In England the role of the Special Educational Needs Co-ordinator (SENCO) has become a requirement in schools. This individual teacher assumes overall responsibility for managing procedures associated with all children with special educational needs within the school. This may include carrying out assessments, developing individual education plans, advising teachers and collaboration with parents and other professionals. Similar roles can be seen elsewhere. In Ireland for example Learning Support Teachers and Resource Teachers work with pupils who are experiencing difficulties, often in situations where pupils are withdrawn from classes and provide advice to their teachers on the development of appropriate learning strategies. 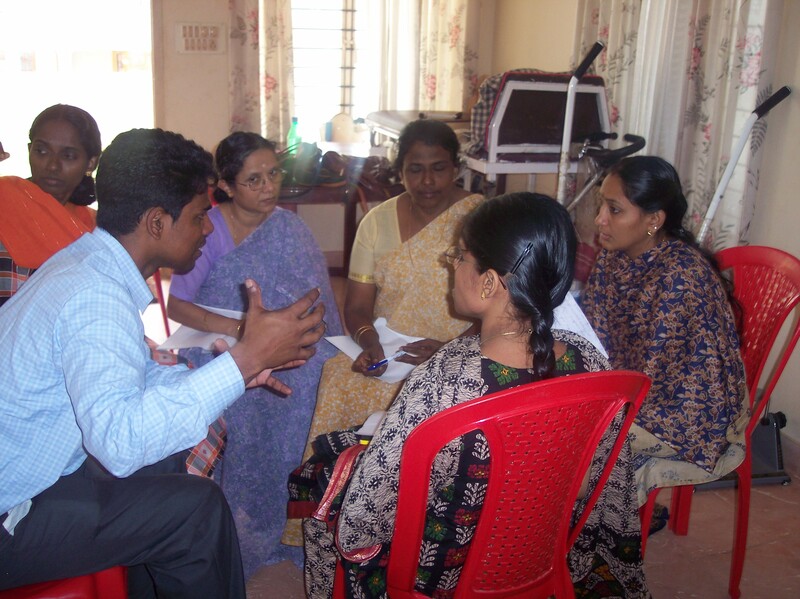 In India the term “Special Educator” is applied to a teacher with expertise in learning difficulties who may work either in a school or in a support centre as an expert deviser of education programmes and interventions. Each of these roles tends to be occupied by professionals with a commitment to learners who may well have been rejected by others or at least are perceived as presenting difficulties for teachers in mainstream classroom situations. There is no doubting the need for expert teachers of this nature. Many children who are described as having special educational needs or disabilities require careful intervention and additional support if they are to make progress in school. Others who possibly come from situations of poverty or from families where the mother tongue is not that of the language of instruction, will need teachers with understanding and empathy as well as some distinctive pedagogical skills. The teachers who fulfil these specialist roles are generally dedicated, skilled and knowledgeable individuals who make a significant difference to the lives of learners with difficulties. However, I do have concerns that there is another side to this situation. How easy is it for teachers to abdicate their responsibilities to these expert teachers, rather than developing their own skills? Generally speaking the specialist teacher will have a limited time working with a child who is struggling, and often this will be away from the main classroom. Sadly, I have heard it said by teachers in several countries, including my own, that the child with special educational needs is a problem and is the responsibility of the specialist teacher. Where this situation is allowed to persist the pressures on the special educator increase and for the majority of the time, when the pupil is being taught by the non-specialist, they receive less than adequate support. In extreme situations these children become resented and further marginalised from the class. So, what is the alternative? Maybe we need to rethink the role of the specialist. Is it not possible that teachers require support as much as, or even more than the pupil with special educational needs? I would suggest that we need to provide every teacher with a basic level of understanding of the teaching approaches, assessment procedures and classroom management skills that are conducive to ensuring that all children are effectively supported in learning in mainstream classrooms. Only then will teachers accept their responsibility for all learners and feel confident in their abilities to do so. At the moment many teachers are apprehensive and doubting of their own ability to succeed with a small number of pupils. This has led to a culture of “expertism” where the responsibility for pupils who have difficulties is invested in only a few specialists. The intentions of legislation such as the Code of Practice for Special Educational Needs in England, or the Right to Free and Compulsory Education Act in India are honourable, but the practicalities of implementation remain a challenge. This will continue to be the case until we support all teachers in developing the skills, knowledge and understanding that ensure that they too feel that they have sufficient expertise to succeed with all children. Let’s consider realigning the role of the specialist to one focused upon supporting and skilling every teacher as well as continuing to lead by example in the ways in which they support learners. In this way perhaps every teacher will become an expert.